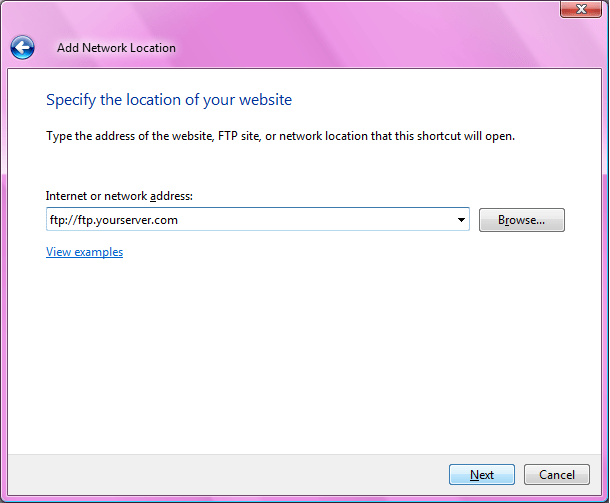 Rather than using a 3rd party application to connect your local machine to your web server, why not simply use Vista’s built in explorer to handle it? To begin click the ‘start’ button at the bottom right of your window, then select ‘Computer’. 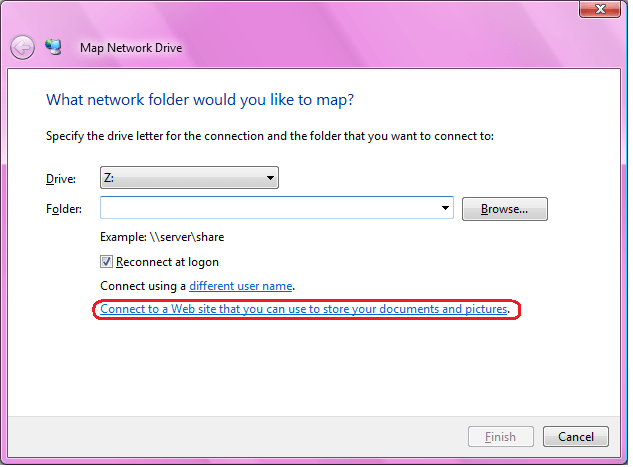 Click on the ‘Map Network drive button. If your server requires login credentials, uncheck the ‘log in anonymously’ box and enter your login name in the box provided (you will prompted for your password later). That’s really all there is to it! You should have an explorer window to drag and drop files into.